This is Clumpy before he received a facelift to cover a few cracks. 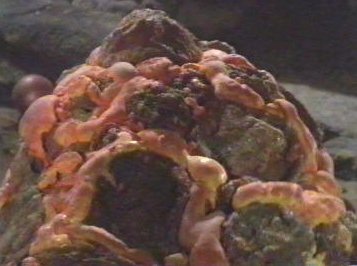 Clumpy and the Horta, from old Star Trek, are cousins! 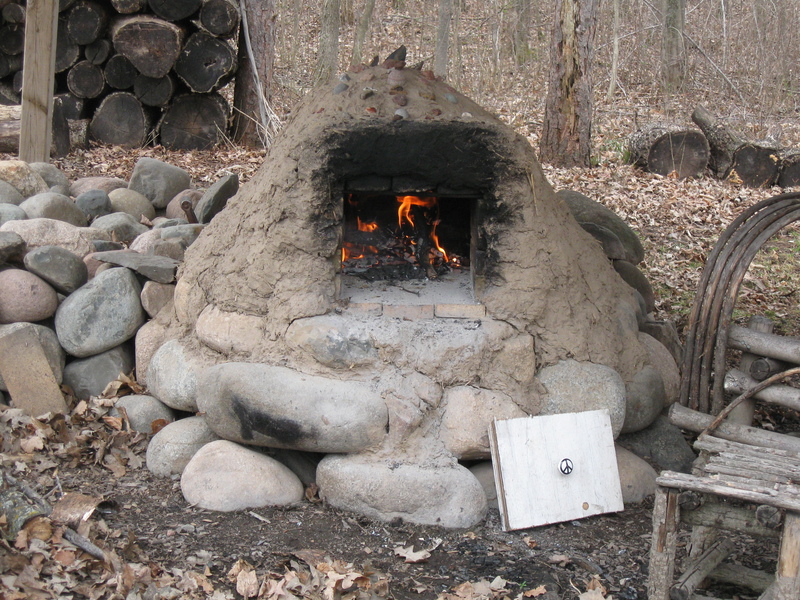 Very similar to an earth oven. The photo above is the Horta, which was featured in the old Star Trek. The Horta was wounded and Bones patched the Horta’s wound with some Portland cement. I will be repairing a large crack on Clumpy’s dome, as well as some holes which some type of carpenter bee drilled into the sides of Clump. I don’t believe the holes damaged Clumpy much at all, but I am concerned that the larva/pupea of the bees will die from the heat when I fire Clumpy up. Mostly, I just want to clean up Clumpy’s appearance because right now it looks pretty much like a large lump of clay with bits of straw sticking out of it. Has Mr. Spock mind-melded with Clumpy yet? Or are you opposed to this because Clumpy has too much compromising information about you? I wrote a detailed letter to Mr. Spock (who also goes by the name Leonard Nimoy) asking if he would drop by and do a mind-meld with Clumpy, as well as me and all my friends. He never got back to me.